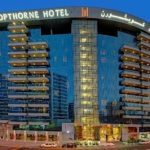 Copthorne Hotel Dubai, the popular 4-star hotel located in Port Saeed in Deira, witnessed a 3% year-on-year increase in hotel occupancy during the first six months of 2018. With a year-to-date average occupancy of 85%, the hotel marked positive growth given the challenging market conditions, where four new hotels have entered the immediate neighbourhood and the total number of room key inventory across the city has reached approximately 110,000. 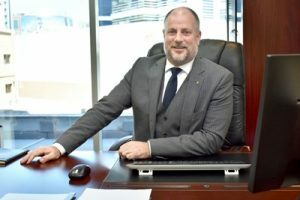 The growth was driven by the strong performance of new source markets, according to General Manager Glenn Nobbs, noting a spike in arrivals from the Vietnamese market, an increase of 170% in occupancy compared to the same period last year. Visitors from Nigeria and Turkey were also reported staying in the property during the first half of the year. Travellers from the GCC countries continue to dominate the numbers of guests at Copthorne Hotel Dubai, followed by China, India and Germany. The hotel also saw a rise in the number of travellers from Russia and CIS countries due to the visa on arrival policy implemented by the government. “We are performing well given the current market situation and the stiff hotel competition within the area. Our focus continues to remain on the increase of our share of visitors from the emerging markets due to a significant decline in bookings from major key source markets like KSA and Iran. We are confident that occupancy for the second half of 2018 will improve since visitor arrivals to Dubai continue to increase year-on-year,” added Nobbs. As the tourist season begins, Nobbs said that his team will focus on deriving additional revenue from its dining outlets and from the meetings/events segments since the hotel has recorded an increase of 12% on food and beverage visitors during the first half compared to H1 2017. Copthorne Hotel Dubai’s convenient location, within four kilometers of Dubai International Airport and a short distance to the Deira City Center metro station, makes it a suitable choice for travellers visiting the city. The hotel had completed its AED 2.5m enhancement project across its leisure and dining facilities and guests can now enjoy a fresher, relaxing and friendlier hotel experience.